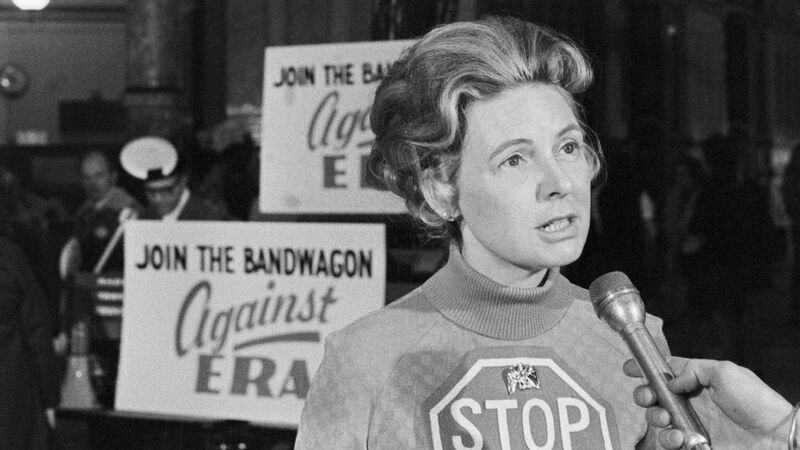 I don’t know a lot about Phyllis Schlafly. I’m in my early 50s, so I was always aware of her, but didn’t pay much attention. Please correct me if I’m wrong, but my impression of her is that she was a complete and total hypocrite. You women should accept your secondary role, stay at home and bake cookies. Have a martini and a steak ready for when your man gets home from work. Raise your children and be a good wife. All this while she did her high-powered, high-profile thing. “You should stay at home, but I’m not going to. I know what’s best for women, but I’m not going to accept the limits I propose for others.” Didn’t nannies raise her six children? I know that this is a simplistic view, but that is my impression of her message. It seems that conservatives know what’s best for you, but don’t apply their dictates to themselves. I would appreciate being pointed toward a good profile of Schlafly, and won’t be offended if you feel the need to correct my opinions. Thank you.